First off, wow! Where has 2013 gone? I mean really I feel like just yesterday I posted about my 2013 goals. And now I am writing about the how the goals worked out! So how did I do?? 1. Memorize 24 verses of scripture. I didn't quite make 24 verses. However I have committed more scripture to heart this year than ever before! So YAY for improvement. 2. Let go of the fear and anxiety that consumes parts of my day. Pray more often and let God guide me. I feel like I definately made improvements in this area but still have a long way to go. 3. Read through the ENTIRE Bible in one year. Yea, no this didn't happen not even by a long shot. I would like to blame it on being a slow reader however its more because I am a slacker! 4. Spend more time focusing on my family. This was one goal that I feel like was completely successful! I cut out some of my commitments prior to having baby boy #2 and this gave me time to focus on our family. It also gave me time to really prioritize many things in life. 5. Finally get my house, office, and life organized. Yea, another no. We are still working towards this goal. I did however get rid of 15 30 gallon trash bags of stuff this year. However apparently it needs to be more like 150!! 6. To use my blog more effectively. For me this means one posting more often. Last year I posted 37 new post and gained followers however this year I want to do more. I have a goal of 500 followers by 12/31/13, but to reach this goal I must give my followers content. Well I did post...3 more post than I did the previous year. SO I guess I did provide a little more content than in the past. 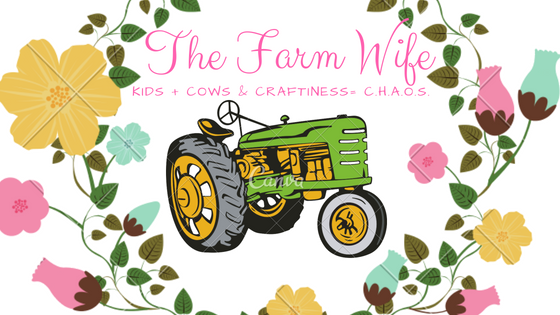 However I don't have 500 followers on my blog but the between the blog, the blog's Facebook page and the farm's Facebook page we have 504 followers!! I still need to work on getting on a blogging schedule that works well for me and my style. We will see what the new year brings! 7. To advocate for agriculture more often and to be more vocal about issues affecting agriculture in our community. I feel like I have stepped up on this. Talking with more folks locally and with my elected officials about agricultural issues. I still need to work on blogging about them more.